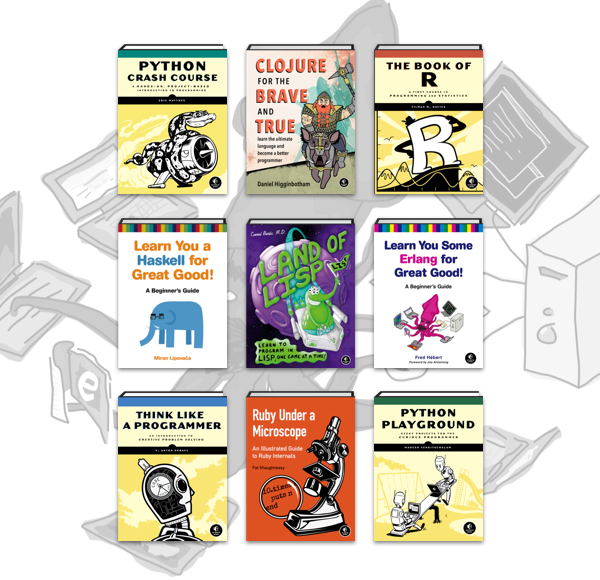 EGaming, the Humble Book Bundle: Learn You Some Code is LIVE! The Humble Book Bundle: Learn You Some Code by No Starch Press just launched on Monday, September 24 at 11 a.m. Pacific time! Get titles like Python Crash Course, Learn You A Haskell for Great Good!, and Automate the Boring Stuff with Python. Plus, bundle purchases will support Code.org!